Vitamin B3, or niacin, helps the body metabolize cholesterol and release energy from carbohydrates or fats. Inositol Hexanicotinate is a superior source of niacin consisting of six molecules of niacin and one molecule of inositol. 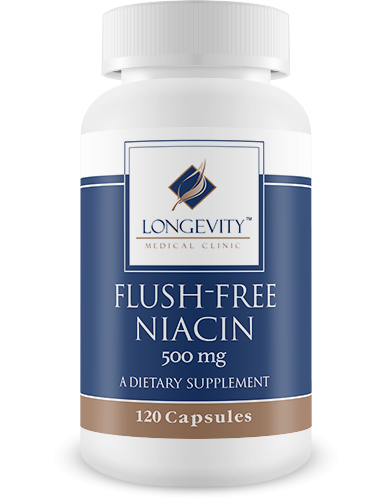 It works to reduce the common niacin-flush problems associated with high doses of niacin supplements. These statements have not been evaluated by the Food and Drug Administation. This product is not intended to diagnose, treat, cure or prevent any disease. Would you like to save even more with automatic re-orders of Flush Free Niacin 500mg? 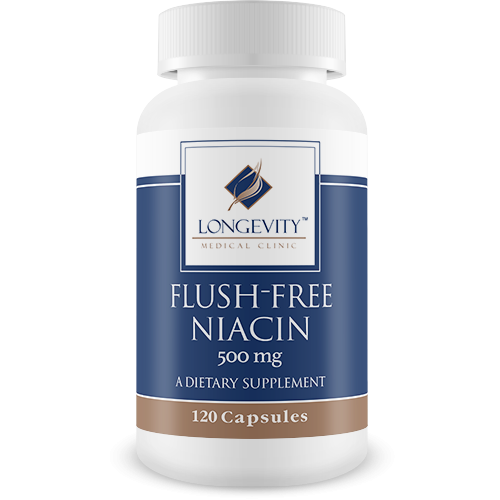 Save 10% with automatic re-orders of Flush Free Niacin every two months. Niacin Dietary Supplement or Vitamin B3, helps the body metabolize cholesterol and release energy from carbohydrates or fats. Inositol Hexanicotinate is a superior source of niacin consisting of six molecules of niacin and one molecule of inositol. 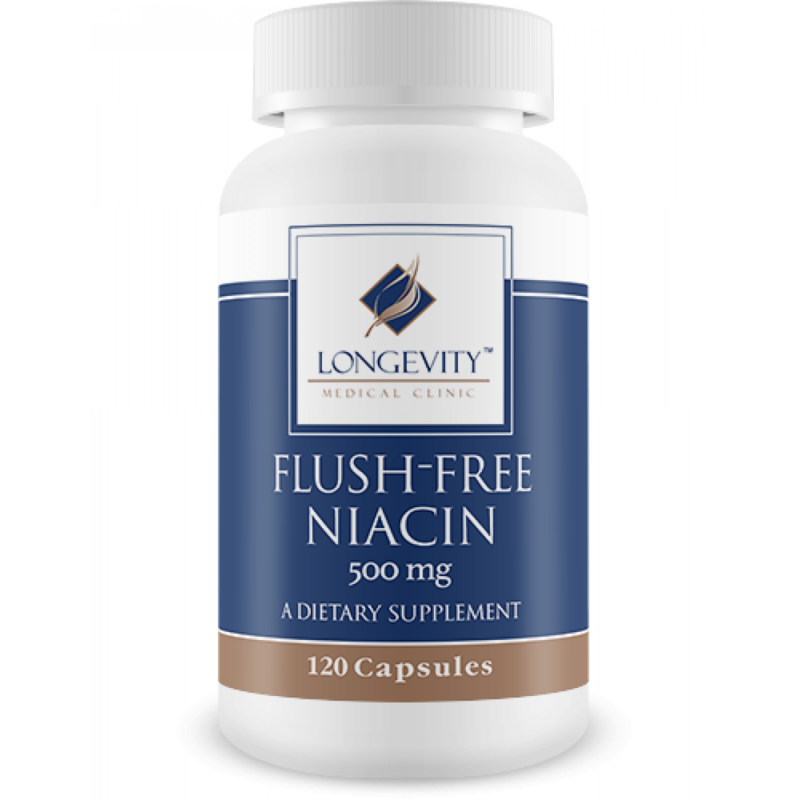 It works to reduce the common niacin-flush problems associated with high doses of niacin supplements. These statements have not been evaluated by the Food and Drug Administration. This product is not intended to diagnose, treat, cure or prevent any disease. Magnesium Stearate (vegetable source), Rice Flour, and silica.